A couple months ago I was researching something for work and came across an ingenious device invented in 1789 by Horace-Bénédict de Saussure, a Swiss scientist. 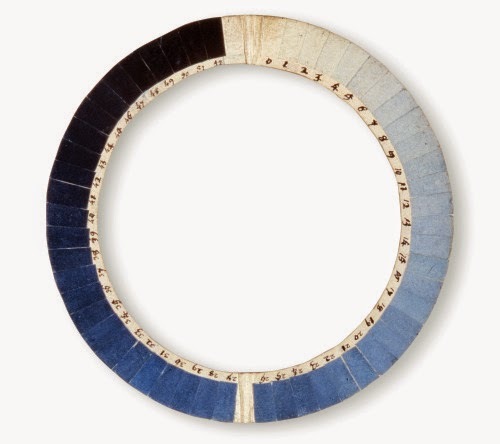 The Cyanometer is used to determine the blueness of the sky by directly observing it against a range of blue colors. The Cyanometer helped lead to a successful conclusion that the blueness of the sky is a measure of transparency caused by the amount of water vapor in the atmosphere. This led me down a path of research into cyanometers and other chromometers. I came across a wonderful conceptual artwork by Spencer Finch. 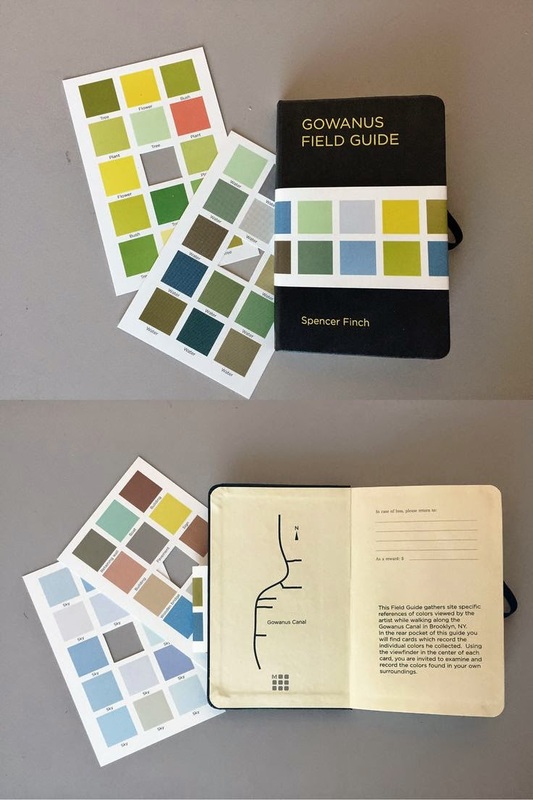 His work called the Gowanus Field Guide gathers site-specific references of colors viewed by the artist while walking along the Gowanus Canal in Brooklyn, NY. It consists of a blank notebook with a map of the Gowanus Canal on the inside. In the rear pocket of the guide are cards which record the individual colors he collected. Using the viewfinder in the center of each card, the viewer is invited to examine and record the colors found in their own surroundings. These concepts were intriguing to me on so many levels. First of which was my own observations of Great Salt Lake. The myriad of colors that the lake manifests is amazing. From blues to grays to deep reds, the Lake never ceases to amaze me. 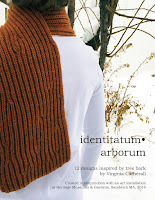 And it also speaks to my recent musings on terroir and how it can be manifest in my own art. I wanted to capture these colors in something akin to Finch’s work. So I designed the Lakeview Scarf (Chromometer). It displays all the colors of the water that I have observed going out to Great Salt Lake over several years. It is meant to allow the wearer to gauge the current color of the lake through the windows to compare it to my observations. 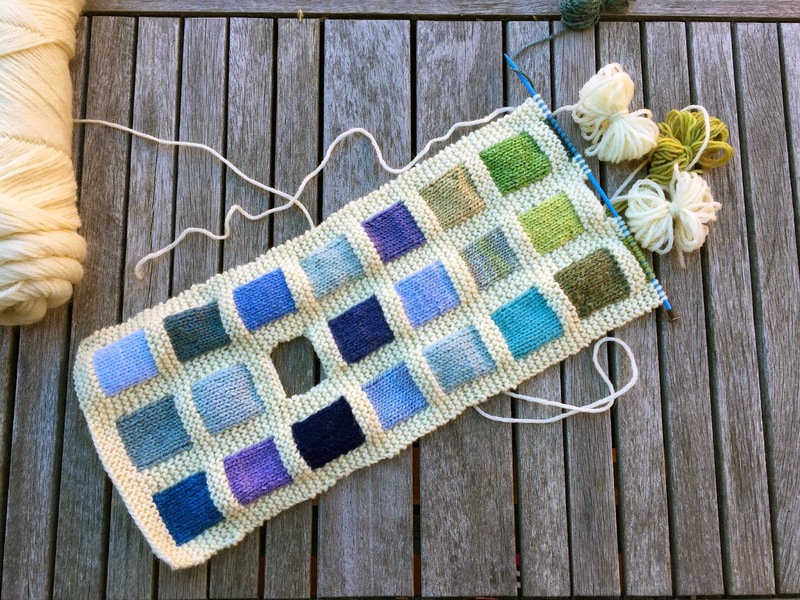 I am still in the process of knitting the scarf but I have decided to group the colors by family with a window in each grouping for the wearer to use when determining that specific color of the lake. As you can see in my in-progress picture, I have knitted the blue section and am beginning the green section. It is surprisingly addictive to knit. 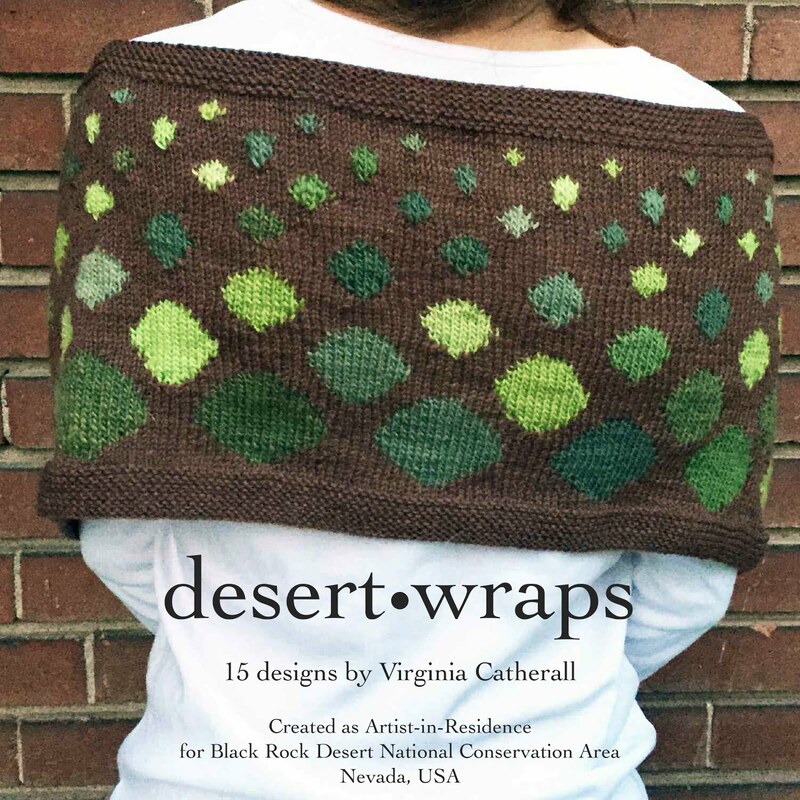 Although I thought I would take months to leisurely knit this scarf during the in-between moments I have throughout the day. I find myself knitting it instead of doing other more important things. I should be finished with it soon at this rate and will post pictures of the final scarf soon.